But was it all worth it for RIAA? 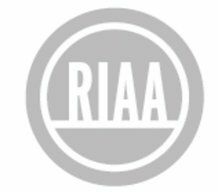 RIAA vs. KaZaA user settle after three years, but at what cost to the suits? Denise Barker and the Recording Industry Association of America have finally settled their three year lawsuit - which has become one of the longest-running file-sharing cases in history - for $6,050 damages from the defendant. Barker was defended by Ray Beckerman, who broke news of the settlement through his blog, which he has been using as a mouthpiece to attack the RIAA and the foundations of its case. While Barker admitted that she used KaZaA to download music, Beckerman managed to persuade the court that the RIAA was being unconstitutionally excessive in terms of the damages it demanded – arguing that damages should be capped at no more than five times the amount that a record label would actually make had each song been downloaded legally. However, Beckerman went on to try and state that simply making a file available over P2P was not copyright infringement in itself at all – an argument that collapsed in March in this particular case, although is starting to be ruled less and less in the RIAA's favour in subsequent cases. With costs and settlement amounts mounting (Barker was originally offered a $4000 settlement before the case went to court), and the fact that proceedings had dragged on for three years, Barker decided to settle and "pass the torch to others" in battling the RIAA. And there's no shortage of cases there, with the recent $222,000 Jammie Thomas case possibly due a retrial, again because of the infringement dispute, and the recent Atlantic vs Jeffrey Howell case due to go to trial in September, after convincing the judge in a pre-trial hearing that they didn't properly know how KaZaA worked as it shared their "personal files" with the world. Barker can also take some solace in the fact that the RIAA has spent a lot more than she has on proceedings. Next to her attorneys' fees, the RIAA has had to shell out payment to independent security investigator SafeNet, as well as paying a whole legal team and a local counsel for her particular case. In a testimony last October, Sony BMG's head of litigation Jennifer Pariser admitted Sony had spent "millions" on such cases, confirming, "We've lost money on this program". With outcomes like this becoming more and more common in RIAA's pursuit of online hoodlums, how long will it be before the group have to admit that pursuing too many P2P users too often is proving rather a financial black hole?